Operation Goodwood was an attack launched on 18 July 1944, during the Second World War, by the British army to the east of the city of Caen. 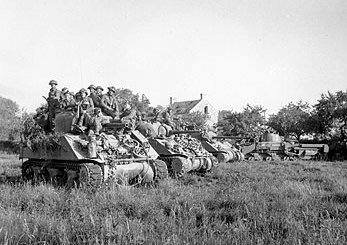 British VIII Corps led the attack with three armoured divisions, supported by British I Corps on the eastern flank and the Canadian II Corps on the western flank, who were launching their own attack codenamed Operation Atlantic, to capture the remainder of Caen. 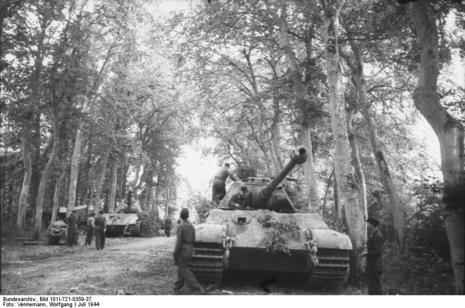 When Operation Goodwood ended on 20 July, the armoured divisions had broken through the initial German defences and had advanced 7 miles before coming to a halt in front of the Bourguébus Ridge, although armoured cars had penetrated further south and over the ridge. 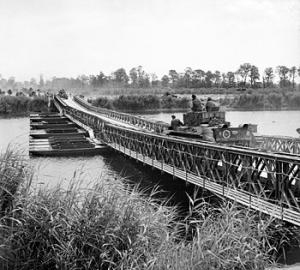 There has been controversy since July 1944 over the objective of the operation: whether it was a limited attack to secure Caen and pin German formations in the eastern region of the Normandy beachhead, preventing them from disengaging to join the counterattack against the US Operation Cobra, or a failed attempted breakout from the Normandy bridgehead. At least one historian has called the operation the largest tank battle that the British Army has ever fought. 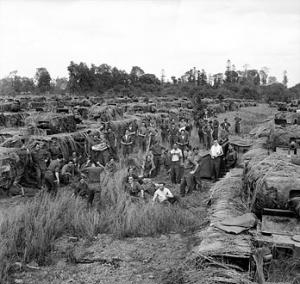 Montgomery always claimed that Goodwood had two aims – one to breakout, the other to wreck German armoured reserves and draw them away from the western sector where the US forces were preparing for Cobra. Dempsey’s first and main aim was to achieve the breakout. The plan began with a massive aerial bombardment, using the strategic air force’s four-engined heavies to spearhead the attack. Lt-General Richard O’Connor’s VIII Corps comprising three whole armoured divisions – 11th, 7th and Guards - and spearheaded by Major-General ‘Pip’ Roberts’s 11th would then rush forward, overwhelm the stunned German defenders and create the breakout the Allies so desperately required. 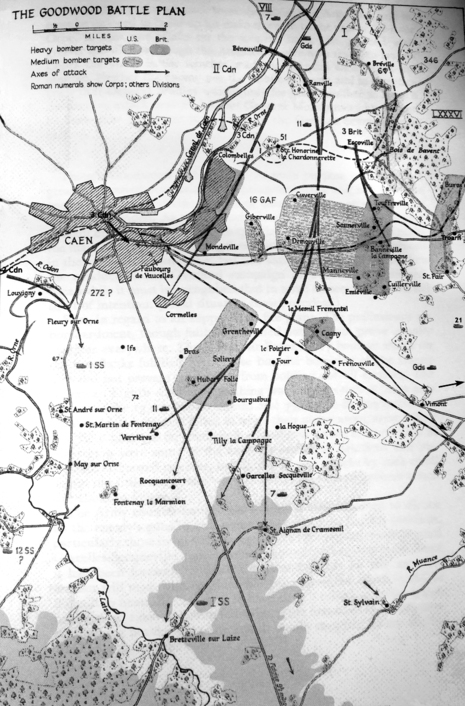 To cover the flanks the Canadians would fight their way along the eastern suburbs of Caen, while the British 3rd Infantry and 51st Highland Divisions would cover the left flank, further to the east.